The curriculum of the Fraternity is personally guided and consists of study, meditation, and ritual. Its studies center around the mystical Arts of Qabalah, Alchemy, Astrology, Magick, the Tarot, and what may be called Occult Psychology. Meditation is used to facilitate an in-depth understanding of the Tradition and to develop in the aspirant a personal communication link with the only true Teacher, one’s own Higher Self. The rituals are aimed at invoking quantum changes in consciousness, leading toward a perception of the inner realities behind outward appearances. An important part of the curriculum is the application of the teachings toward healing. With the use of color and sound, a harmonizing and equilibrating energy is released by their work, for all those who are in need, be they student, friend or foe. Your initial steps on the Path of Return can be overwhelming. There is so much information in print and on the Internet that it is often hard to know where to look first. Compounding this difficulty is the superabundance of occult schools offering all manner of training in the esoteric sciences. There are different schools precisely because there are aspirants with different needs and different backgrounds and temperaments. What may be right for one is not necessarily right for another. 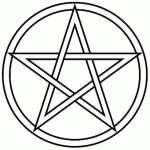 We counsel careful discrimination before making a decision about joining any occult order. Make no mistake. All the powers of the universe are at your disposal here and now. You do not need to get something you do not now have. Rather, to succeed in the Great Work, you must learn to control and utilize the interior forces of your own personality with greater skill and awareness. A well known occult saying is: “Many are called, but few are chosen.” No teacher or organization, can give you any power which is not already present in yourself. The most they can do is to introduce you to your self and show you how to nurture that relationship. The Path of Initiation lays open before you. The Threshold Course is an opportunity for you to take a conscious step toward your own evolution as a spiritual being. Based upon the principles of Wisdom, Love and Power, this course is designed to give the student a well rounded introduction into the mysteries of the Ageless Wisdom. This is both a theoretical and experiential curriculum. The course is comprised of 32 lessons and is included with Probationary membership in the Fraternity. What you get out of this course will be up to you. If you choose to apply for membership, you will be given practices and assignments to assist in your understanding of the lesson material. Conscientious study and faithful practice will yield much fruit in your journey along your chosen path. 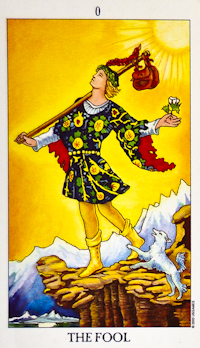 The Tarot is a very powerful tool for inner transformation and understanding the true nature of the self and its relationship to the Life Power. Fundamentals of Tarot will take you through the Major Keys one by one and introduce not only their individual complex symbolism but also the ways in which they work together as a whole hinting to the true nature of Life. Based on a course written by Paul Foster Case in 1936, Fundamentals of Tarot builds upon concepts and practices introduced in The Threshold and prepares the student for the experiential journey which is The Path of Return. 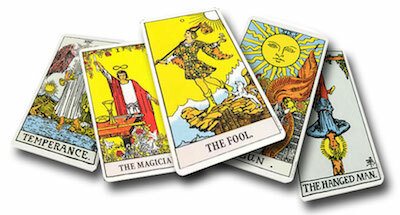 Fundamentals of Tarot is the second course of the First Hall of Probationers. 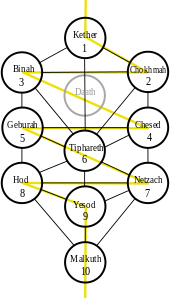 This is both a theoretical and experiential course on the Tree of Life. You will be trained in the symbolism of each of the 32 Paths of Wisdom. Then you will be guided in a Qabalistic Pathworking that will link your consciousness to the various Divine Energies that will aid you in your quest for enlightenment. You will approach the Paths in the traditional order, as taught within the Temples of the Western Mysteries. A definite commitment to persevere through the course is necessary. Also, you will be expected to submit regular reports of your progress. This course is only available to members of the Second Hall of the Probationary (those who have graduated from The Threshold), or above. There are 35 lessons in the course. Receipt of the Path of Return course is included with Probationary membership dues for those who have completed Fundamentals of Tarot. If you wish to enroll in The Path of Return, please send a written request by email or regular mail to the Director of Probationars with your name and current address, along with your quarterly donation. Astrology has long been linked to the Western Mystery Tradition. The Fraternity of the Hidden Light now offers an up-to-date Course on this mysterious and intriguing subject. This Course presents an in-depth study of Astrology as it pertains to each one of us on a personal level. You will be trained in the basics of Astrology, and how to apply this information in reading your own chart and for working personal ritual. You will also discover the relationship of Astrological symbolism to Qabalistic symbolism, further enhancing your comprehension of the esoteric “tools” available for self-growth. The Lessons are both theoretical and experiential, and include assignments to aid in your understanding of the material. The symbolism of Astrology is a powerful instrument for attuning consciousness to the Cosmic and Universal Laws. This is a highly practical Course – by learning just a few symbols and correspondences, along with a formula for putting them together, you will be able to construct a reading through the Signs, Houses, Planets and Aspects. This Course is invaluable for those serious students of the mysteries in quest of an increased understanding of the Cosmic forces. 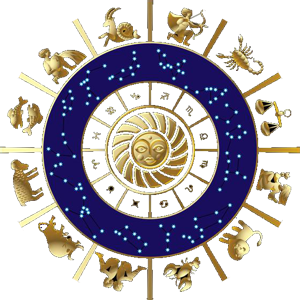 A definite commitment to persevere through the Practical Astrology Course is necessary. Each lesson builds upon the previous one. Also, you will be expected to submit regular reports of your progress. This Course is only available to members of the Second Hall of the Probationary who have completed the Threshold Fudamentals of Tarot and the Path of Return. There are a total of 24 lessons (one year). Your personal birth chart will be included with the lessons. Receipt of the Practical Astrology course is included with Probationary membership dues for those who have completed The Threshold, Fundamentals of Tarot and the Path of Return. If you wish to enroll in Practical Astrology, please send a written request by email or regular mail to the Director of Probationars with your name, current address, birth information (date, time, & place) along with your donation. Students of this course will be introduced to more advanced forms of ritual work. Covering the creation of magical implements and daily elemental rituals. This course will help attune you to the more subtle forces of the Four Qabalistic Worlds. Topics Include: Why Ritual is Powerful, use of the Four Worlds, Manifest Reality, how to perform Theurgy,an introduction to the different Types of Ritual, the use of Symbolism, the importance and creation of Regalia, the use and consecration of Magical Implements, attunement and working in harmony with the Elements, and attunement and conscious cooperation with the Planetary Archtypes. These forces are used to awaken you to who you truly are and to better serve humanity.